Printers have made an enormous leap and milestones over the years. Gone are the days when you have to buy a huge, chunky printer that could do nothing more than only print, if not jam all the time. Today, you can garner state of the art, all-in-one printer that can do just about anything you want in your office – print, scan, copy, fax, and whatnot – efficiently and inexpensively. What’s more, an all in one printer in 2018 is small, sleek, and nearly maintenance-free. Need I say more? Well, here are 8 crème de la crème models of all in one printer you can buy in 2018 for less than 100 bucks. Stand-out Feature: incredibly high printing speeds and outstanding print quality. Right out of the box, Canon Pixma TS9120 is the undisputed champ of all in one printer in 2018. Price tag aside, this all in one printer is the best home-office printer your money can buy right now. Why is that? Canon Pixma TS9120 can churn out high-quality prints, both photos, and text, at unrivaled print speeds. It comes complete with six individual color inks, but you can expect printing costs to remain relatively low even with the extra inks. With built-in copier and scanner, the printer is conveniently controlled with an adjustable 5”color touchscreen. Whatever your printing needs are, Canon Pixma TS9120 will get the job done right. If you are looking for a budget all-in-one or inkjet printer, you have found it: Epson WF-2760! Available from Amazon for $69.99, no other budget all in one printer in 2018 will give you both a duplexer for 2-sided printing and an automated document feeder. Even better, the printer does a bang-up job when it comes to print quality and speeds. The small downside is that color inks costs can rack up pretty quick. HP OfficeJet 5255 offers easy double-sided printing without hiking the price. It is a great all in one printer 2018 for those looking for a general home-office printer that can do scans. Please note that this is not a good high-volume printer. It is simple and well-designed; it works amazingly for everyday home use. More importantly, it is complemented by HP’s features like excellent Wi-Fi use, ink subscription service, and 10 pages/min print speed. This all in one laser printer can do double-sided printing quickly and efficiently. 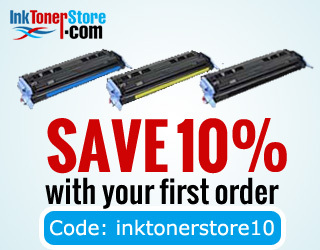 It is designed for those who do black-and-white print-outs and want to save on ink. The most prominent feature is that it is a laser-type printer, so you don’t have to spend money on ink. It comes with an auto-duplexing feature, offering great printing speeds. If you are looking for a cheap, picture-printing all in one printer in 2018, look no further than Canon PIXMA MG2420. It is a handy printer for both general home use and small office printing. It comes with eye-catching features like auto photo fix, document printing, special filters, and quiet mode. With this printer, you can copy and scan docs or photos fast and quietly. You’ll love the 48-bit color depth and 600×1200 density-per-pixels. Brother MFC-J460DW is a budget all in one printer that offer high quality scans, copies, and prints at an affordable price tag of $64.99. But, perhaps the best feature is the ability to print from your smartphone and directly from Onenote, DropBox, Google Drive, and Evernote. Sleek and compact, Brother’s MFC-J460DW offer auto duplex printing at 12 ppm. The printer produces solid color prints. Low cost, well-built, and robust, the HP OfficeJet Pro 6968 offers a duty cycle of up to 20,000 pages and print speeds of up to 18 ppm. It features a 35p automatic document feeder so you for tap-and-forget copying and scanning. Moreover, it comes with a scan-to-email feature and 1500 pages printing per cartridge. And for an $89.99 price tag, it is worth it. Stand-out features: low price, small size, and touch panel. Designed for budget customers, Epson Expression XP-410 is the perfect all in one printer 2018 for office and home use. A handy 2.5-inch display makes it easy to preview your scans and copies. It is compact and well-built but delivers relatively low printing speeds.